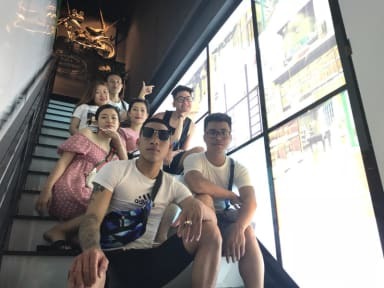 Stingray Hostel (Danang Hostel) is located in the center of Danang city, – the most worth living city in Vietnam, only 90m from Dragon Bridge or 2 km from Han Bridge. Stingray Hostel has both dormitories and private rooms for couples which are all air-conditioned. Because of the most convenient location (in the center of Da Nang) of the hostel, you can easily walk to other interesting attractions such as Dragon Bridge and Cham Museum to the South, Han River and Han Market to the North, and many other restaurants or other best places for tourists…The nearest airport is Danang International Airport, 2.5 Km (5-7 min by taxi from the hostel). 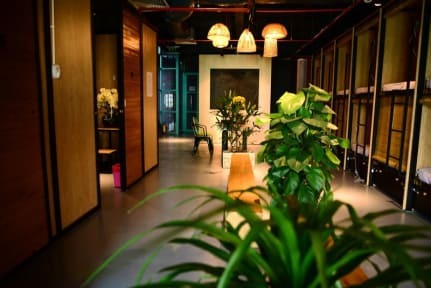 Stingray Hostel is the best choice for tourists who want to explore the real Vietnamese lifestyle in Da Nang. Our staffs are helpful, friendly and willing to help you with the city's information as well as support you as much as possible. Really nice dorm rooms: Very spacious and the lockers were too. The staff were very helpful. Facilities were very clean and beds were private with curtains and lockers underneath. The location of the hostel is fantastic! Homey, comfy beds, clean, incredibly friendly and helpful staff, good location, the decor inside is really cool! Staff were really helpful with planning trips and journeys. Truly appreciated it ... Highly recommend Stingray Backpackers hostel and are looking forward to returning very soon! We were great staying here. The hostel was very clean, Staffs super friendly! Location is great, the dragon bridge just right at the front. Good location for night life as well, just 15mins walk from the beach and there are bunch of restaurants around. Definitely recommended hostel!! The hostel was very clean and the staff were incredibly helpful and friendly. We only stayed for one night to catch a flight the next day but it was a good place for a night! + location + value + Japanese style design - no AC, only fans - security is kinda flimsy, the room door has only a latch lock and the door of hostel is always open, but there are guards - kinda cramped - common area is very poor - in shower there was a puddle which just stayed there. The water wasn't directed anywhere nor was there any drain. This was a good place for a quick stopover. Right beside Dragon Bridge and the bus stop to Hoi An. I wouldn't stay more than one night as it's very small and no atmosphere. But it's clean and tidy with comfortable beds and the staff are friendly and accommodating. Dorms are more like storage stacks: no windows, and the walls are more like partitions. It's just a hostel. It has atmosphere. It's quite clean. The staff is English speaking. If you need the bed in dorm it's the right place, but you cant expect really good privat rooms here. It has a few, but it's more like cell than a real room. While the location was great and felt safe, the hostel itself did not meet our expectations. Staff were willing to listen and a few of the things that disappointed us were not within their control. Firstly, private rooms are not private. Rooms look and feel like a cage, a rabbit hutch for a human of sorts which meant we were kept awake by nextdoor for most of the night. The bathroom needed a good clean and the rubbish needed to be emptied (it’s not ok to have food containers sitting there).